Get Everything You Need From A to Z! us at 1-866-408-0048 between 9am-6pm EST, Monday-Saturday. SELF-SERVICE PICK-UP & RETURN: Requires 24 hours notice. 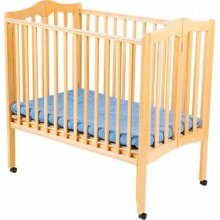 This full-size wooden crib will provide a good night's sleep for your little traveler. Comes with a 5-inch, 55"x30" coil-spring mattress. Folds for easy transport. Free bumper pad and/or fitted sheet available upon request. Not part of any crib recall. Please Note: Choosing Self-Service Pick-up & Return will require a larger SUV or van. 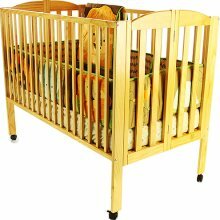 This 3/4-size wooden crib is great for little travelers up to two years old. It's compact size allows it to fit into any bedroom. Comes with a 40"x25" foam mattress. Free bumper pad and/or fitted sheet available upon request. Not part of any crib recall. Folds flat and easily fits into most regular size cars! Our toddler bed is great for little travelers who've outgrown our cribs, but are still too small for an adult bed. Comes with built-in bed rails and a 5-inch coil spring mattress. Free fitted sheet available upon request. New Item! Our newborn rock ‘n play sleeper is the perfect place for the littlest travelers to rock 'n play in during the day or sleep in at night. It is very lightweight so it’s easy to move around the house. Features a 3-point restraint for added security & piece of mind. 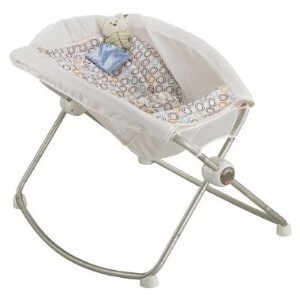 This pack & play makes naptime, playtime, and changing simple. Designed for little travelers up to 35" or 30 lbs. 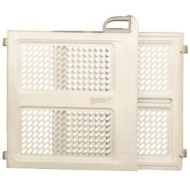 For newborn travelers, we have bassinet inserts available upon request - just check the box above. For Indoor Use Only...No Beach Use! New Item! 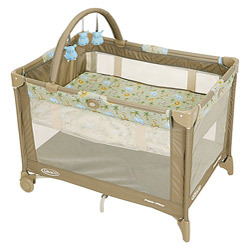 This sturdy 48" x 26" cot provides a safe, comfortable alternative to a Toddler Bed or an Air Mattress. 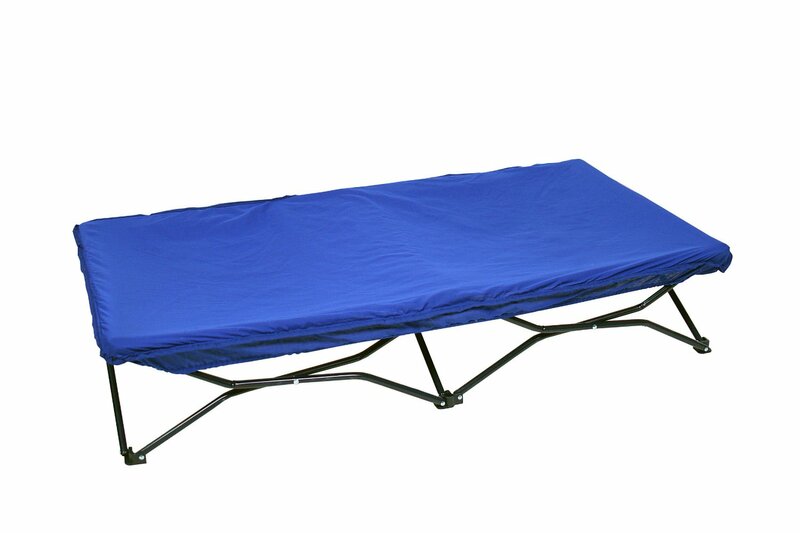 Folds down in seconds and includes a convenient carrying case and fitted sheet. Ideal for little travelers who are 2-4 years old and under 60 pounds. This set of two bed rails is designed for use with a mattress and box spring and is secured by the mattress top. They feature mesh net and fabric lining. Life goes on after your little travelers go to sleep. This compact monitor minimizes static so you can hear them loud & clear from up to 400' away. Video Monitors also available. 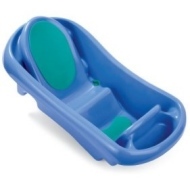 Keep your little travelers squeaky clean with this adjustable bath tub. It fits right in the sink and includes comfortable foam padding. A neat feature is a drain plug that changes color to alert you if the water is too hot. New Item! 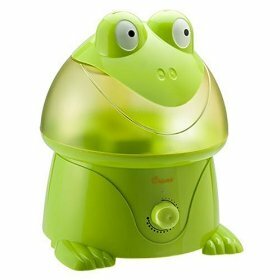 This adorable, child-friendly humidifier provides up to 11 hours of comfort to cold symptoms, dry itchy skin, and chapped lips. 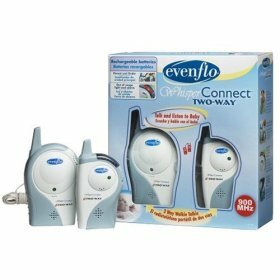 Whisper-quiet operation and "auto-off" function when water tank is empty. New Item! The Sound Sleeper offers 24 natural sound combinations and 10 individual sounds to mask any annoying noises that may wake your baby. Both you and your little traveler will enjoy a longer, more restful sleep. New Item! 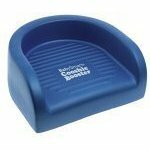 If your little traveler is learning to use the potty, don't miss a beat with this potty/step stool. Features non-slip rubber feet and a drop-in pot to make cleaning up easier than ever. New Item! 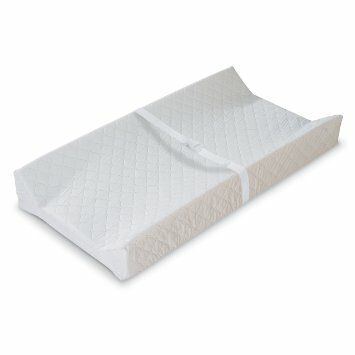 This contoured changing pad is made of durable, quilted vinyl and is 100% waterproof. 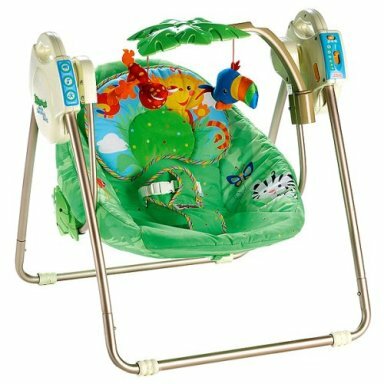 Includes a quick-release safety belt to keep your little traveler safe & secure and has a non-skid bottom to keep it in place. 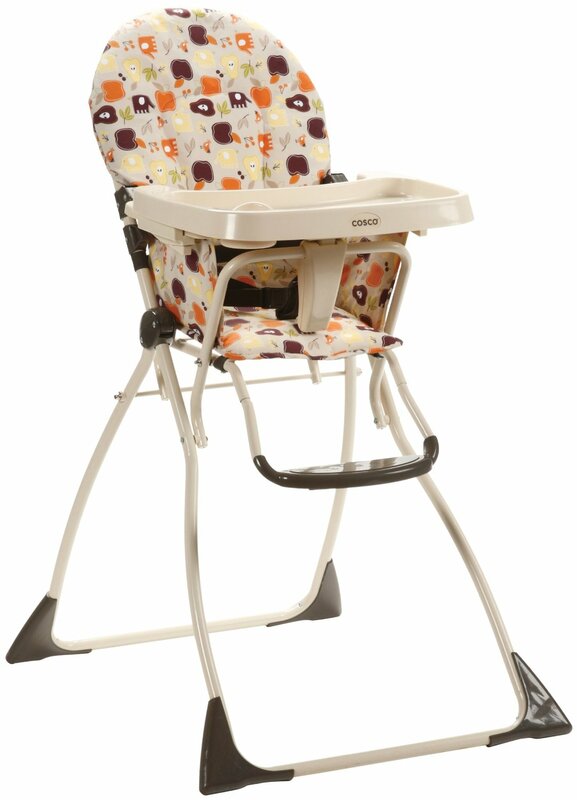 Your little traveler will dine in safety and comfort, while you enjoy the many conveniences of this delightful high chair. Simple tray removal for cleaning. Folds completely flat for easy transport. 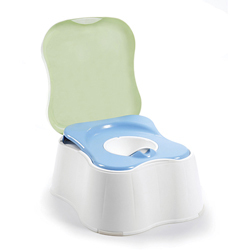 This portable, folding booster chair keeps the feeding surface clean until ready for use. 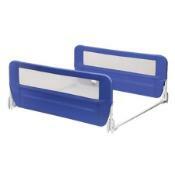 Removable tray for dishwasher use. Three-point harness and chair straps for safety. 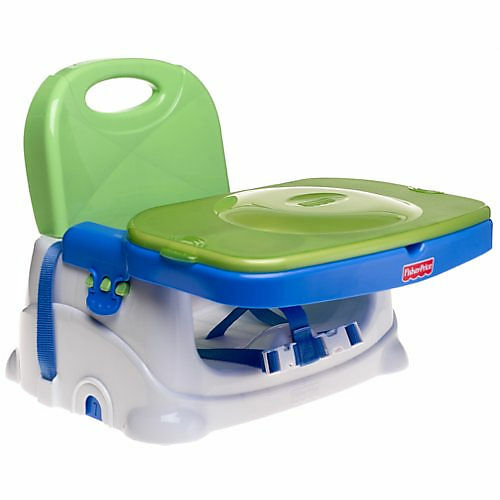 Little travelers can sit in the lap of luxury in this Cooshie booster seat. 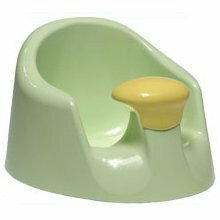 Made of foam with a shiny, waterproof skin, this child-size seat has a terrific nonporous surface that won't stain or absorb spilled liquid. Essential for little travelers learning to sit. Their weight helps ensure safe and comfortable seating. Lightweight, non-toxic, and easy to clean. Ages 3-14 months, and 9-22 lbs. Includes New Safety Straps. 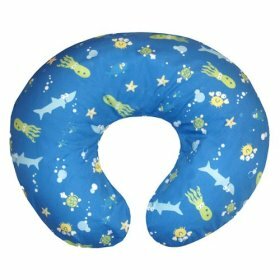 Indispensable to new moms and infants, the popular Boppy pillow supports your little traveler while you nurse. It's also great as they rest, play or learn to sit up. Both the pillow and slip cover are machine washable. 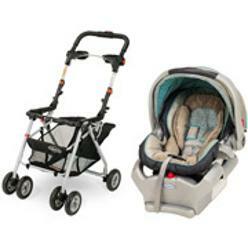 Little travelers will ride in style in this sturdy stroller. 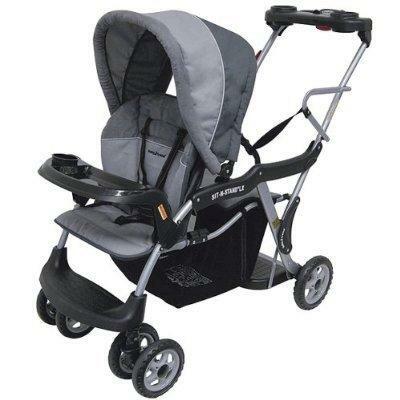 Features a 3-point harness, multi-position reclining seat, unique one-hand "Fold & Stand" feature, sun canopy, drink holder, storage basket, and self-locking safety features. Folds up for easy transport. 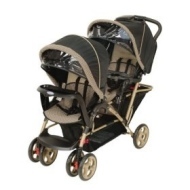 This sturdy double-stroller features a 3-point harness, multi-position reclining seat, unique one-hand "Fold & Stand" feature, sun canopy, drink holder, storage basket, & self-locking safety features. Folds up for easy transport. Classic Connect Car Seat Compatible. 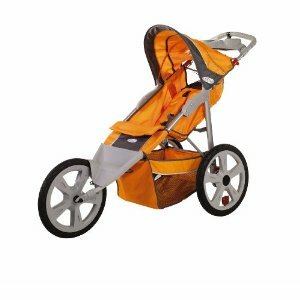 This fixed-wheel jogger stroller has a padded reclining seat to help keep your little travelers safe & comfy while you exercise. 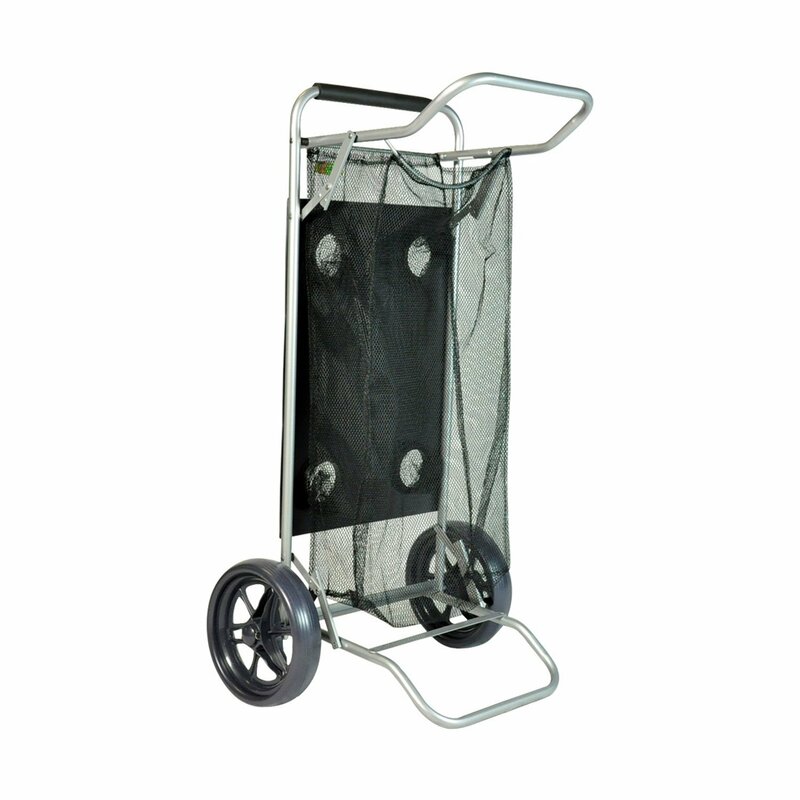 Features an adjustable handlebar, retractable sun canopy, and a 50-pound capacity. Folds up for easy transport. New Item! 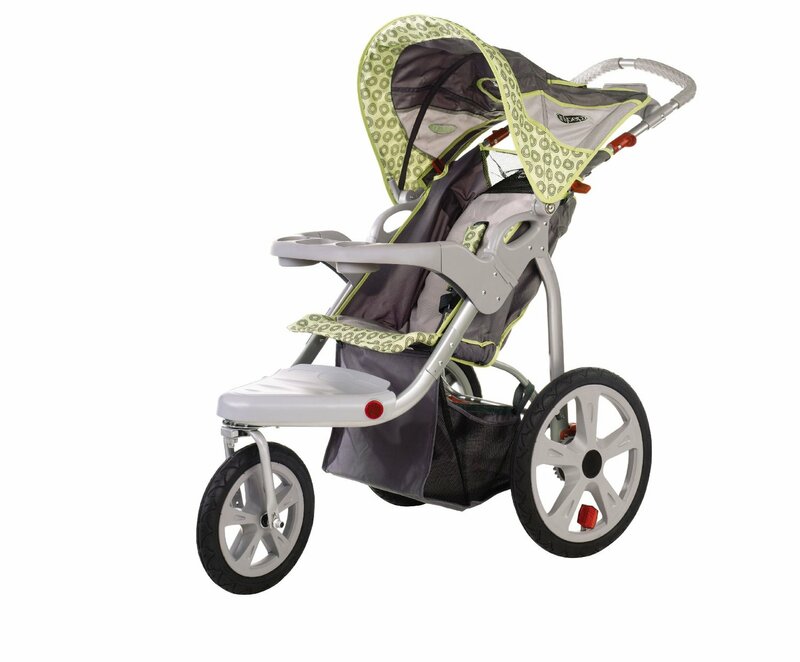 This jogger stroller has a swiveling front wheel that allows you to maneuver in tight corners or through crowds. Features a drink holder, retractable sun canopy, and a 50-pound capacity. Folds up for easy transport. Sorry, No Beach Use. 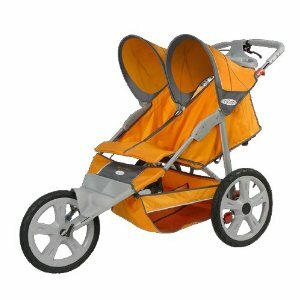 This fixed-wheel double jogger stroller has a padded reclining seat to help keep your little travelers safe & comfy while you exercise. 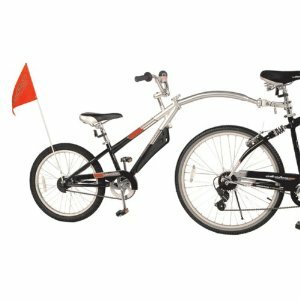 Features an adjustable handlebar, retractable sun canopy, and a 100-pound capacity. Folds up for easy transport. Strolling around with two little travelers has never been easier. An older child can stand in the rear, while a younger child rides in front. If the standing child tires, they can rest on the padded rear seat. Folds up for easy transport. Snap your infant car seat into this sturdy stroller frame. 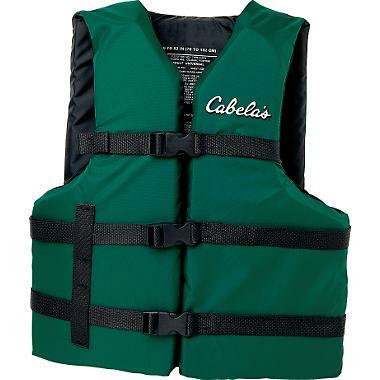 Features a 5-point safety harness, foam head protection, simple push botton to adjust the base, and a level indicator. For little travelers up to 22 lbs. Folds up for easy transport. 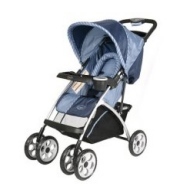 This umbrella stroller is rugged, yet lightweight and loaded with features you would expect on a full-size stroller! Reclining seat, 5-point harness, sun canopy, and zippered storage pockets. Folds up for easy transport. Our infant travel system comes with an infant car seat & base, as well as a snap & go stroller frame featuring parent cupholders and one-hand folding...Everything you need for the littlest of travelers. 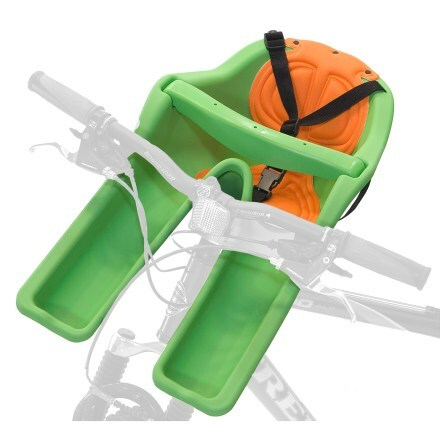 The littlest travelers will ride in comfort and safety in this rear-facing car seat.Convenient snap-in base that allows you to remove the car seat and carry it with you, head & neck supports, and a sun shade. Our comfy convertible car seat can accommodate an infant up to 20 pounds in the rear-facing position. If your little traveler weighs 20-40 pounds, simply use the seat in the forward-facing position. 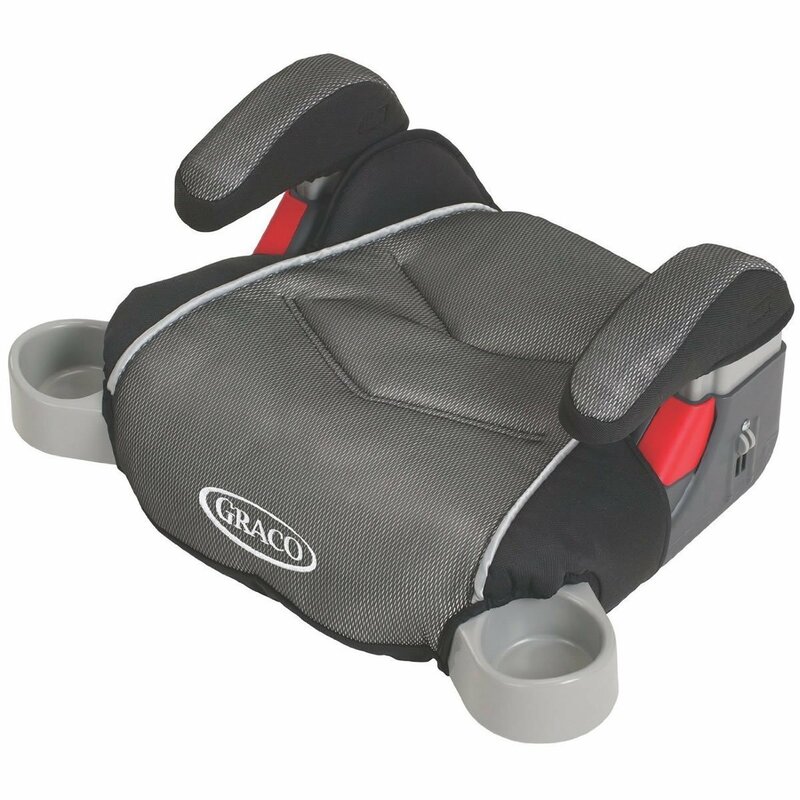 This booster car seat will keep your little traveler safe & comfortable. Features one-handed, full body adjustment and pivoting armrests. For use by children between 30-100 lbs. & up to 57" tall. 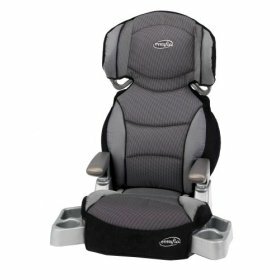 This booster car seat will keep your oldest of your little travelers safe & comfortable. Features pivoting armrests and drink holders. For use by children ages 4 & up who weigh between 40-100 lbs. and are up to 57" tall. Five-speed swing with toy mobile. Multiple textures and sounds to capture your little traveler's attention. 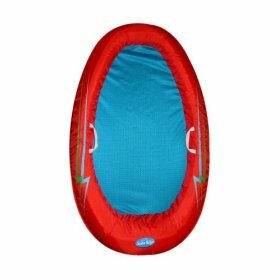 Papasan-style padded seat, 3-point harness & removable toy bar for easy access. Perfect for the littlest travelers. Two modes...mom-activated & baby-activated. 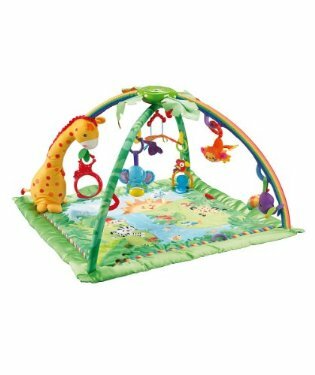 Includes calming vibrations and volume control, a three-point harness, colorful characters for visual stimulation, and removable toy bar. New Item! Your little traveler will jump with delight in this awesome jumper/entertainer. The rotating seat and 12 great educational & musical activities make it perfect for developing their young muscles & minds. Features music, lights, nature sounds, games and textures. Both parent and baby-activated lights and music. 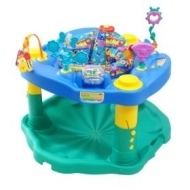 Includes spinner with rattling beads, spinning butterflies, shiny mirror, crinkly leaf, and activity toys. The seat spins for easy reach & play. The seven multi-sensory toys rotate with six different positions. The saucer has three height adjustments, with flip-down feet to stabilize unit. For little travelers 4 months & up. New Item! Learning to walk has never been this much fun. 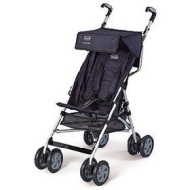 Our walk-a-bout walker is perfect for little travelers on the move. 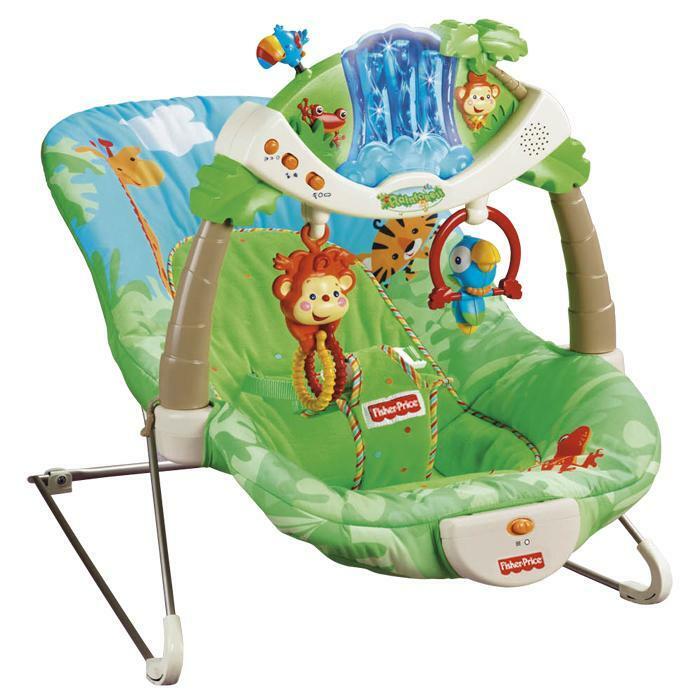 Features a high back seat for extra support, three position height adjustment, and toys to keep them entertained. Designed for little travelers in three different stages of development: Push Behind - for those learning to walk; Ride-On - to assist in developing motor skills; and Pull Along - for helping balance & coordination. New Item! 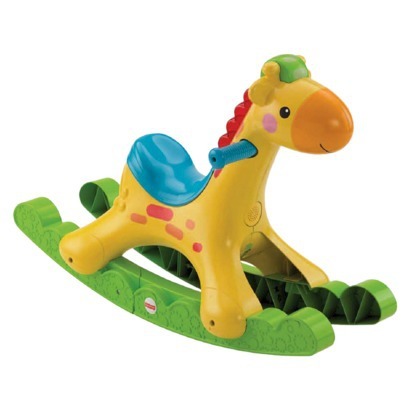 This rocking giraffe will provide your little traveler with fun and exercise. 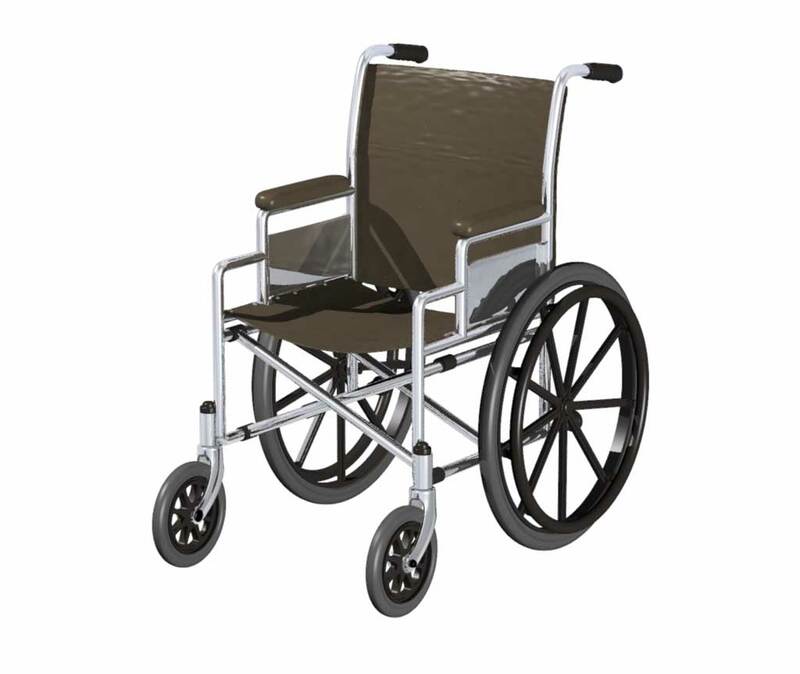 Features musical sounds, a contoured seat, and easy grip handle bars. It's wide stance helps prevent tip-overs and over rocking. 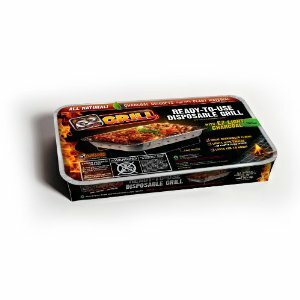 One of our Most-Popular Items! 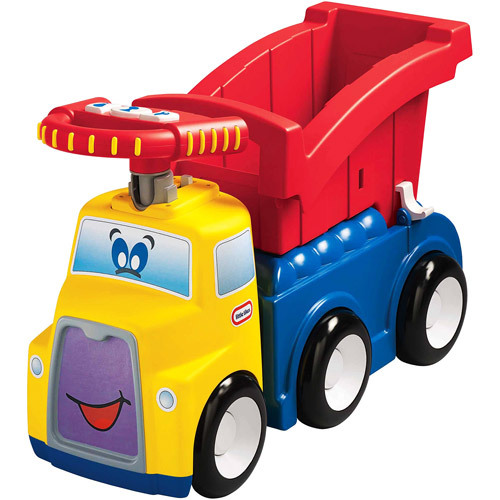 Our famous age-appropriate jumbo toy box is sure to provide hours of enjoyment for your little traveler. 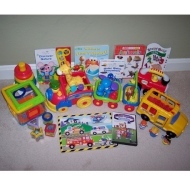 Each box comes with an incredible variety of toys, books and games for specific age groups and genders. For multiple Toy Boxes, indicate the ages & genders in the Special Requests & Notes section below. This flexible play yard is very similar to baby gates. It is a free-standing play area which will keep your little travelers in an enclosed area, but is wide enough to provide space to play. This 3-in-1 baby gate features no-climb panels and an easy-release child resistant top handle. Perfect for little travelers aged 6-24 months. 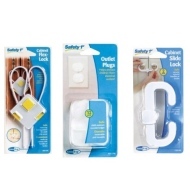 A great package of items to keep your little traveler safe & sound. Features 24 electrical outlet covers, two sliding cabinet/door locks, two door handle covers, a first aid kit, and a night light. This great package includes a 6 ft. beach umbrella, two beach chairs, and a rolling beach cart...plus, we'll throw in one of our awesome 7'x7' beach blankets...ABSOLUTELY FREE! One Week Minimum Rental Required to Receive Free Beach Blanket. The most versatile beach cart there is. Easily converts from a beach cart to a table! 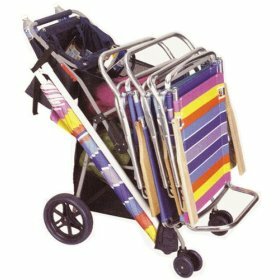 Carries up to 4 chairs, umbrellas, towels and other beach items. Folds up for easy transport. Our Best Seller! 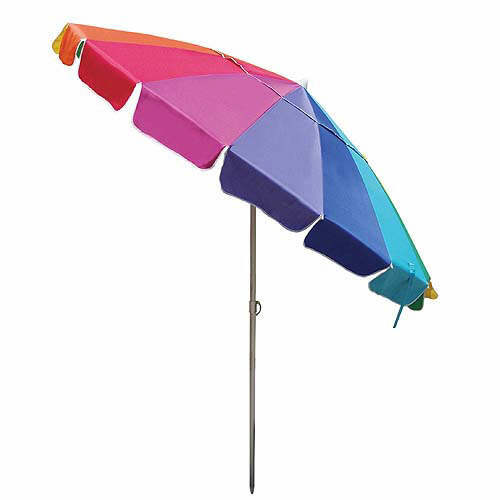 This jumbo 8 ft. beach umbrella features valance & tilt feature to provide protection from the sun, wind & rain. Includes a sand drill/anchor to keep it in place all day! Comes apart for easy transport. Huge 6 ft. beach umbrella with valance & tilt feature to provide protection from the sun, wind & rain. Includes a sand drill/anchor to keep it in place all day! Comes apart for easy transport. This pop-up beach shelter is perfect for the beach, backyard, or any other place you need protection from the elements. 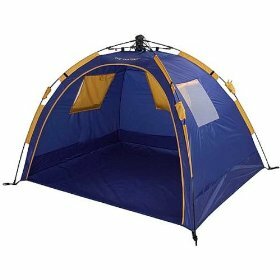 The poles are built in to the tent, eliminating the difficulty associated with traditional separate pole tents. Quick & Easy! Leave that clunky chair behind. 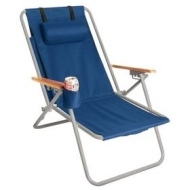 This great folding beach chair doubles as a backpack so you can carry all your beach gear...and keep your hands free. 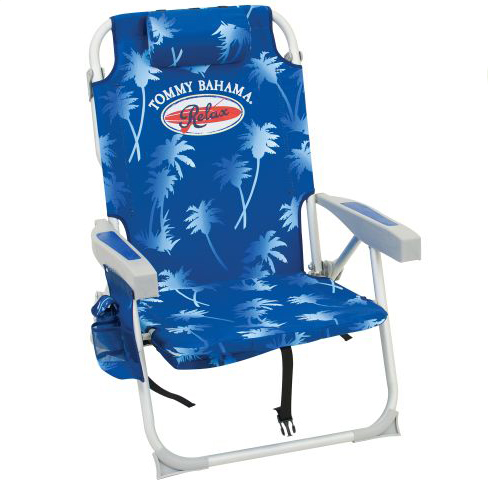 Our Tommy Bahama backpack cooler chair holds up to 300 lbs. 5-positions including lay-flat. Insulated beverage/storage pouch and folding towel bar. Molded arms with cell phone and cup holder. Padded shoulder straps, adjustable pillow and carry handle. This wagon has an easy-latch door and two contoured seats. 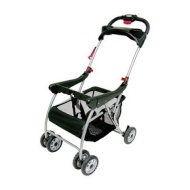 It is perfect for hauling little travelers and their stuff around the neighborhood. Not recommended for direct beach use. 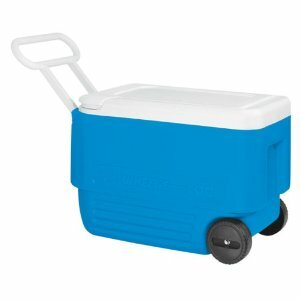 This traditional Igloo wheeled cooler makes taking drinks and snacks to the beach, a picnic or the kids' games a breeze. Ideal for a couple or small family. 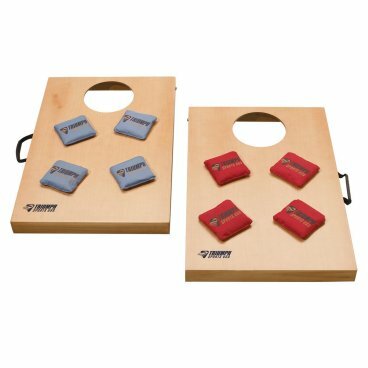 This classic bean bag beach game will keep the entire family entertained for hours. New Item! 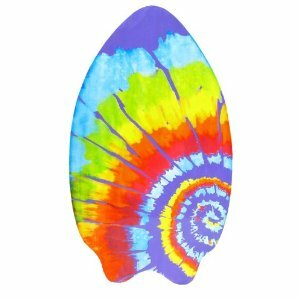 Our fun, wooden skimboard is sure to please everyone...from the beginner all the way up to the expert skim boarder. 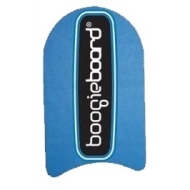 This classic kickboard is ideal for floating around the swimming pool! Springs open in seconds. Folds up quickly for storage! Cool & comfortable mesh interior. 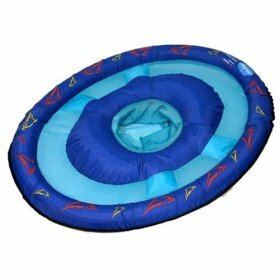 Inflatable swim ring for little travelers up to two years old. 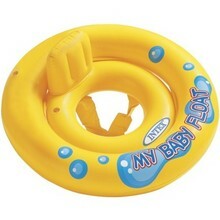 A must for the pool or beach. Mom & Dad (90 lbs & up) will stay safe & sound with this US Coast Guard-approved Type-II PFD life vest. Adjustable straps for comfort, security and safety. Keep your little travelers (50-90 lbs.) 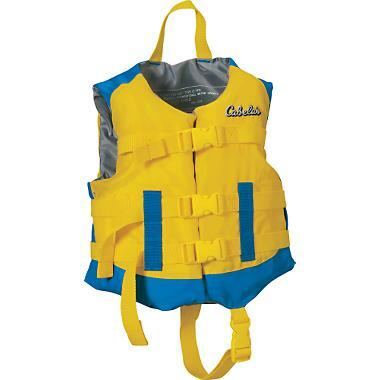 safe & sound with this US Coast Guard-approved Type-III PFD life vest. Adjustable straps for comfort, security and safety. Keep your little travelers (30-50 lbs.) 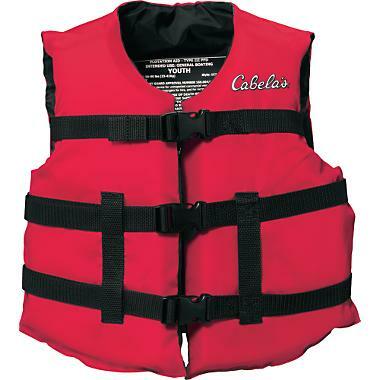 safe & sound with this US Coast Guard-approved Type-III PFD life vest. Adjustable straps for comfort, security and safety. Keep your little travelers (0-30 lbs.) 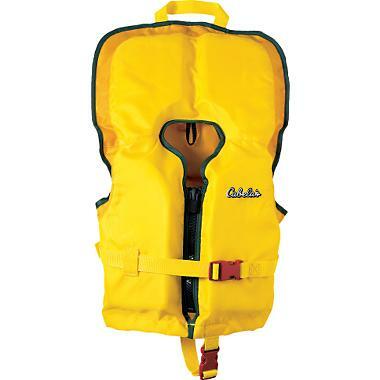 safe & sound with this US Coast Guard-approved Type-II PFD life vest. Adjustable belt, leg strap, zip-front closure and a grab strap for the ultimate in security and safety. Our deluxe single-speed men's cruiser offers a comfortable and fun ride with a natural, upright seating position, wide handlebars, super-soft seat, and plush balloon tires. It also has aluminum wheels and coaster brakes for easier pedaling. Comes with a free helmet, lock & chain. Sorry, No Beach Use. 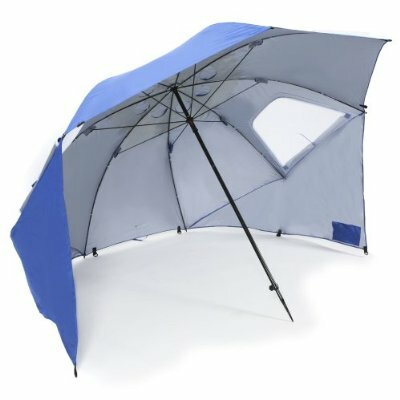 This 8 ft. beach umbrella, sun tent, rain shelter & more provides instant protection from the sun, rain, and wind with UPF 50+ protection. Sets up in seconds & fits the whole family. Includes a sand drill/anchor to keep it in place all day! Comes apart for easy transport. This pop-up beach cabana will protect the whole family from the sun, wind & rain. Sets up in seconds. Simply open it up & pull the cord. 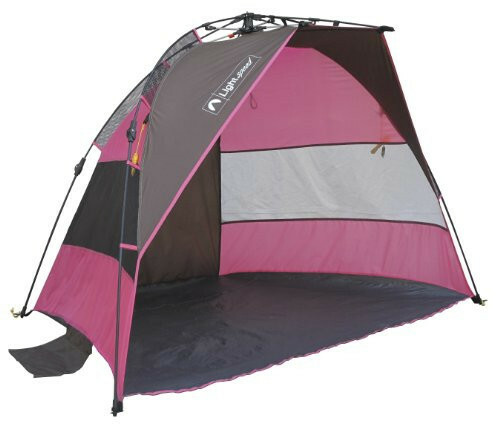 Features windows for ventilation & sand pockets for stability. Folds up for easy transport. 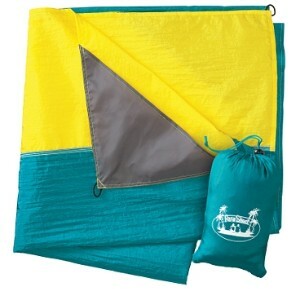 This 7'x7' quick-dry nylon beach blanket comfortably fits four. Corner sand-pockets make sure it won't blow away! One Week Minimum. 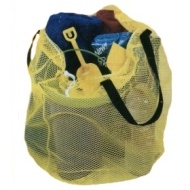 A great selection of classic beach & water toys in a mesh tote bag. 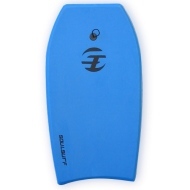 Comes with a leash and is perfect for body surfing and beach gliding! One of our best sellers! 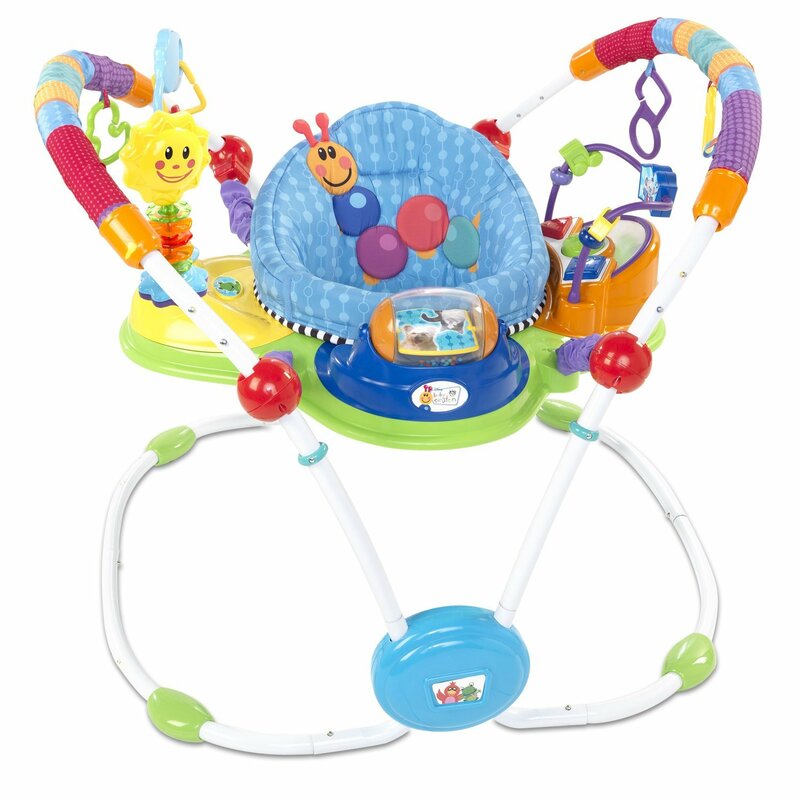 Comfortable and convenient with a mesh playspace for toys and splashing. 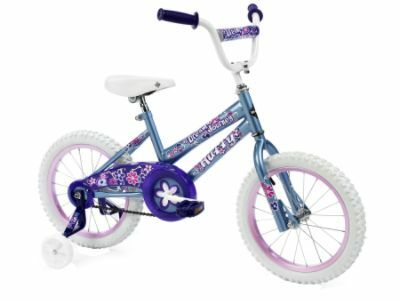 Our deluxe single-speed women's cruiser offers a comfortable and fun ride with a natural, upright seating position, wide handlebars, super-soft seat, and plush balloon tires. It also has aluminum wheels and coaster brakes for easier pedaling. Comes with a free helmet, lock & chain. Sorry, No Beach Use. Boys will love pedaling around on this classic 20" bike. 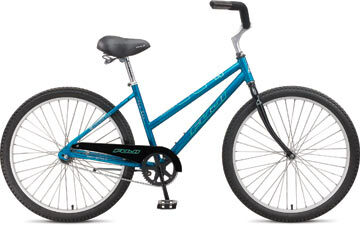 It comes with a single speed, coaster brake, padded handle bars, comfortable seat and extra wide tires. Perfect for little travelers 48" & taller. Comes with a free helmet. 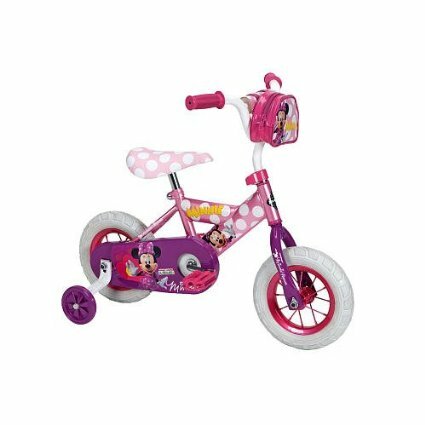 Girls will love pedaling around on this classic 20" bike. It comes with a single speed, coaster brake, padded handle bars, comfortable seat and extra wide tires. Perfect for little travelers 48" & taller. Comes with a free helmet. Boys will love pedaling around on this classic 16" bike. It comes with a single speed, coaster brake, padded handle bars, comfortable seat and extra wide tires. Perfect for little travelers 40"-48" tall. Comes with a free helmet. Girls will love pedaling around on this classic 16" bike. 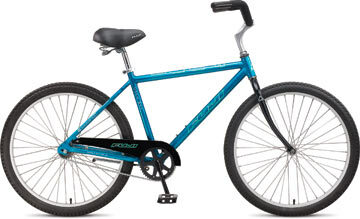 It comes with a single speed, coaster brake, padded handle bars, comfortable seat and extra wide tires. Perfect for little travelers 40"-48" tall. Comes with a free helmet. New Item! Boys will love pedaling around on this classic 12" bike. It comes with training wheels, a single speed, coaster brake, padded handle bars, comfortable seat and extra wide tires. Perfect for little travelers under 40" tall. Comes with a free helmet. New Item! Girls will love pedaling around on this classic 12" bike. It comes with training wheels, a single speed, coaster brake, padded handle bars, comfortable seat and extra wide tires. Perfect for little travelers under 40" tall. Comes with a free helmet. New Item! If your little traveler can walk, this adorable, pedal-free bike will get them cruising over sand, grass, and pavement with ease. Steady, stable and safe, our Strider Bike is perfect for those 18 months to 5 years old. Comes with a free helmet. This handy folding cart will simplify your day at the beach. Huge, extra wide 10" wheels make rolling through the sand a breeze. 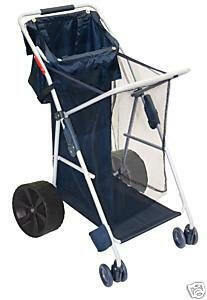 Carries your beach chairs, umbrellas, towels & more with ease! Folds up for easy transport. New Item! 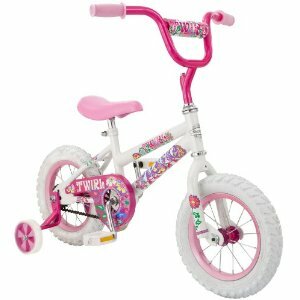 Girls will love pedaling around on this classic 10" bike. It comes with training wheels, a single speed, coaster brake, padded handle bars, comfortable seat and extra wide tires. Perfect for little travelers under 36" tall. Comes with a free helmet. Whether you're going to the beach or planning a day-long biking trip down the Pinellas Trail, both you and your little travelers will enjoy the comfort, and convenience of this handy bike trailer. Comes with free helmet(s). Available with Cruiser Bike Rental Only. Your little traveler will ride in style while enjoying the sights in this front-mounted child seat. Safer than rear-mounted seats because the child's weight is evenly distributed, giving a more stable ride. Comes with a free helmet. Available with Cruiser Bike Rental Only. 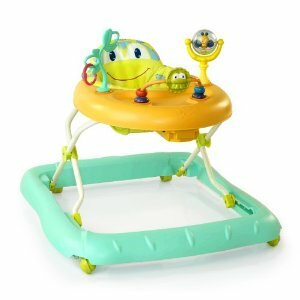 Just the thing for a little traveler who wants to tag along with Mommy or Daddy, but doesn't have the legs for it! They can pedal the 20" wheels to help you out, or just coast along and enjoy the scenery. Comes with a free helmet. Available with Cruiser Bike Rental Only. This section is optional. You can also provide this information over the phone if you prefer. Please Note: Your credit card will NOT be charged until we deliver your order or you pick it up. Are You Taking Advantage of a Special or Coupon? Thank You. We will email you within 24 hours to confirm your order. I have read & accept the Terms & Conditions on the A to Z Baby, Beach & Bike Rentals website. 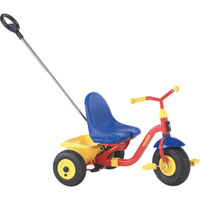 Our adjustable tricycle is sure to provide hours of recreation and fun. 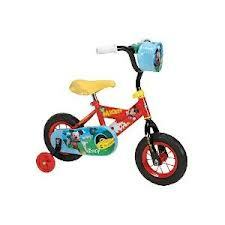 Perfect for little travelers, 1-3 years old, who aren't quite ready for "big bikes." Comes with a free helmet. New Item! 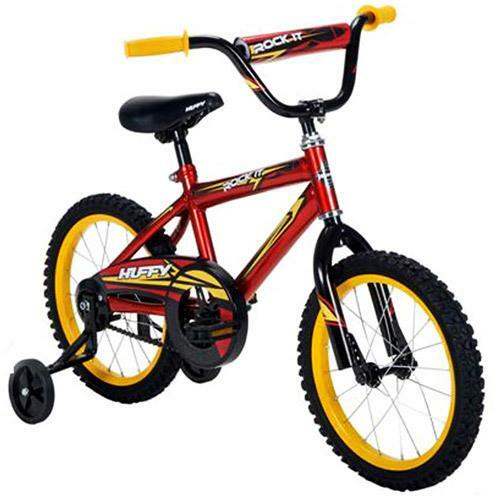 Boys will love pedaling around on this classic 10" bike. 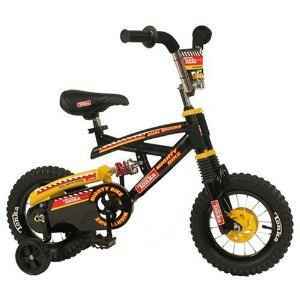 It comes with training wheels, a single speed, coaster brake, padded handle bars, comfortable seat and extra wide tires. Perfect for little travelers under 36" tall. Comes with a free helmet. No one should be left out of the fun, so reserve a wheelchair for those travelers in need of a little helping hand. Adjustable foot rests and soft tires for a smooth ride. Collapsible for easy transport. Sorry, No Beach Use. These unbelievable kayaks weigh just 26 lbs, but hold up to 500 lbs! They feature an extra-thick 33 mil Polykrylar hull, I-beam floor for extra rigidity, removable inflatable front and rear seats, a self-bailing drain valve, and two molded skegs so you go faster and further with less effort. Includes: paddles, a dry bag, a foot pump (inflates kayak in 6 minutes), and a carrying bag...no more racks on the roof! Sorry, Not Currently Available. You can't hit the court without a racket. 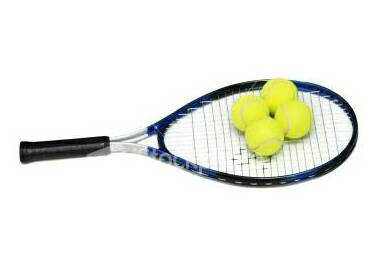 Each racket is served with three balls. Please specify Adult or Child in the Special Requests & Notes section below. New Item! With the EZ Grill, you can have a cookout without the mess and hassle of those clunky, dirty portable grills or unsanitary public grills at a beach! The 19"x12" grill lights with one match and lasts for 1.5 hours. Afterward, just douse it with water and toss it in the trash! Add one to your order for just $11.95! Did You Know? We are always adding new items to our rental inventory. If you have a suggestion for something we should add in the future, please let us know in the "Special Requests & Notes" section below. New Item! 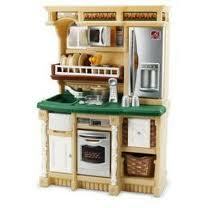 This amazingly realistic kitchen is perfect for hours of pretend play. Features electronic sounds in the stovetop and phone. Comes with a great assortment of dishes and food so little chefs can serve up the perfect meal. New Item! 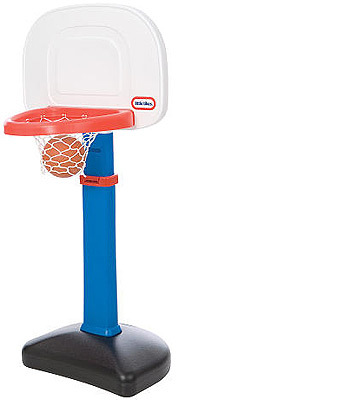 This basketball hoop grows to fit all little travelers by adjusting to six heights from 2 1/2 to 4 feet. Includes an oversize rim and a junior size basketball. Simply fill the base with water and you are ready to play! Voted "Toy of the Year" by Parenting Magazine, this infant gym transforms into five different play centers with electronic lights, sounds, buttons and fun activities designed for little travelers 6- to 36-months old. New Item! Take the cool with you! 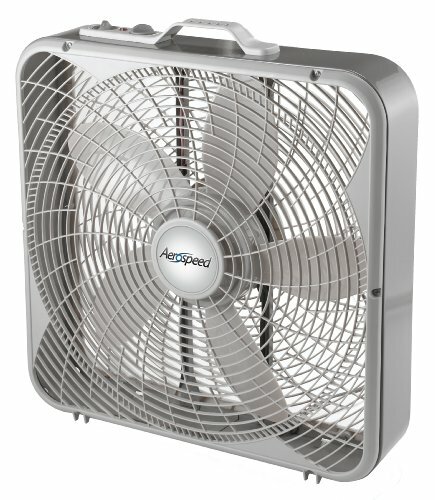 This portable 20-inch box fan is sure to provide some relief from the steamy Florida weather. Features three speeds and a top-mounted speed control dial. Perfect for the bedroom, kitchen or patio. Child: Designed for children 3 and up. Has a 50"x25" surface with a 4" safety cushion to prevent your little travelers from rolling off the bed. Adult: This queen-size mattress is perfect for adults. Both mattresses inflate in 60 seconds. Please choose size above. If Necessary, How Do We Get a Key? Unfortunately, some Google Chrome users may experience issues with our Reservation Form. If you have a problem, please use another web browser or call 866-408-0048 to place your order. Located on back of card. Gulf Coast Baby, Beach & Bike Rentals, Inc. is a member of the A to Z Rental Network and Serves Bay Pines, Madeira Beach, Redington Beach & Shores, Treasure Island, Gulfport, Indian Rocks Beach & Shores, Largo, St. Pete Beach, Seminole, Belleair Beach & Shore, Clearwater, Harbor Bluffs, Pinellas Park, and Sand Key. 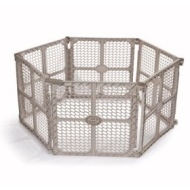 We Offer Fast, Free Delivery & Pick-up of Over 80 Items, Including: Full-Size Baby Crib - Portable Foldaway Crib - Pack & Play - Bassinet - Child's Air Mattress - Adult Air Mattress - Bed Rails - Baby Monitor - Baby Bath Tub - High Chair - Booster Seat - Cooshie Seat - Bumbo Seat - Boppy - Stroller - Double Stroller - Jogger Stroller - Double Jogger Stroller - Snap & Go Stroller Frame - Infant Travel System - Infant Car Seat - Convertible Car Seat - Booster Car Seat - Infant Backpack Carrier - Baby Swing - Activity Mat - Exersaucer - Bouncy Seat - Jumperoo - Age-Appropriate Toy Box - Play Yard - Safety Gates - Childproofing/Safety Kit - Beach Umbrella - Beach Cabana - Beach Chair - Beach Blanket - Beach Cart - Beach Wagon - Rolling Beach Cooler - Beach Picnic Backpack - Beach Toys - Boogie Board - Infant Float -Toddler Life Vest - Child Life Vest - Adult Life Vest - Beach Cruiser Bike - Kid's Bike - Bike Trailer - Front-Mounted Child Seat - Bike Helmet - Bike Basket & More! Siesta Key, Sarasota, Longboat Key, Lido Key, Lakewood Ranch, Osprey, Nokomis & Venice. Please Note: We Have a 3-Day Minimum & Require 24 Hours Notice on Bike Rentals. Longboat, Lido & Casey Keys, Osprey, Nokomis & Venice. Madeira Beach, Redington Beach, St. Pete & Treasure Island.